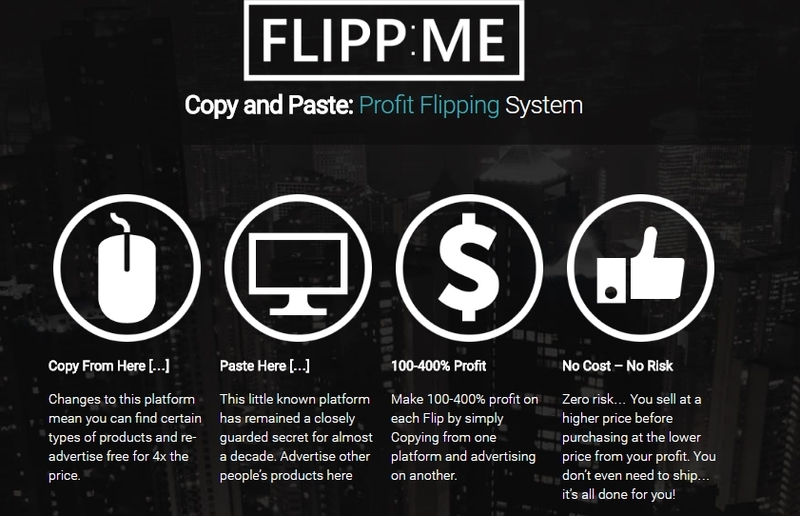 Make Money Online Reviews Will FLIPP:ME Help You Earn Extra Money with Simple Copy and Paste? Rating: 3 It's not going to replace your day job, but it could make you extra side cash. The Good: FLIPP:ME combines retail arbitrage with drop shipping to help you make money. The intro PDF is reasonably priced at around $10. You have a 30-day money back guarantee. You get access to bonuses, training videos, and a Facebook group. The Bad: There may be legal issues with relisting other people's products as your own. You're hit with numerous upsells in order to learn all the information needed. Some borderline ethical methods for traffic generation are recommended. 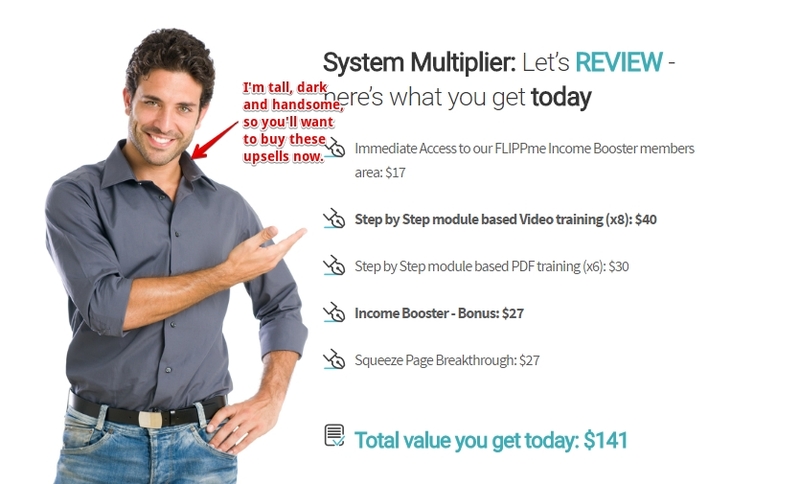 The Bottom Line: FLIPP:ME advertises a proven method for earning money, but its numerous upsells are discouraging. You are also doing a lot more work than simply "copying and pasting" product listings. Finally, sellers will not be happy if they learn that you are secretly reselling their products. Can you really make extra money online by clicking and pasting product listings between two different platforms? What exactly are you copying and pasting, and why would this generate income? FLIPP:ME is an online income product created by Mark Bishop, Venkata Ramana, and Art Flair. Unlike other online money-making “opportunities,” the FLIPP:ME sales page doesn’t make outrageous claims about how you’ll earn thousands of dollars each day after buying it. Mark actually provides real information about FLIPP:ME in his sales video, which I found refreshing. This system teaches you how to select low-priced craft and other goods on Fiverr, then repost those Fiverr listings onto a secret platform. On the secret FLIPP:ME platform, which comes with its own customer base and traffic, your posted listings will make up to four times their current listed price on Fiverr. This price differential will be passed onto you once the goods are sold from that secret platform. With FLIPP:ME, you don’t need to purchase the actual Fiverr goods, merely find and repost them. 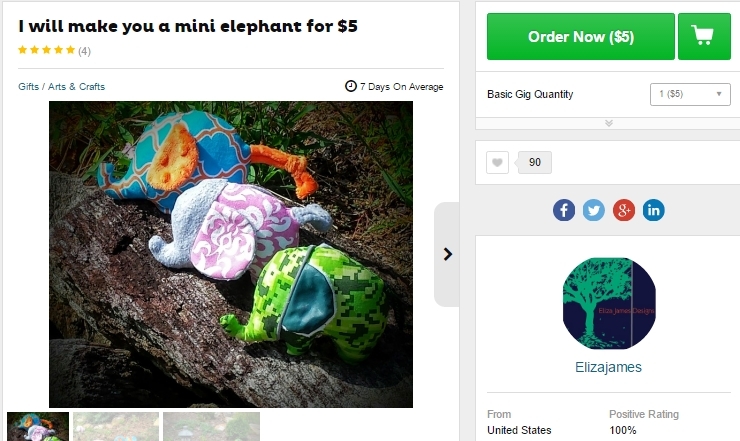 There is also no shipping involved because the Fiverr sellers are still doing that. The standard price of FLIPP:ME is advertised as $47, but you can currently buy the system for just $9.97. Everything sounded good up to here, so I decided to plunk down some money and find out more about FLIPP:ME. Once my purchase went through, I was presented with another video, again led by Mark. I thought he would tell me about the secret FLIPP:ME platform or direct me to some training area. Instead, Mark started telling me how “if I wait just a few more minutes” before going to FLIPP:ME, there are a few extra income multipliers that I should look over. For example, I could also get the FLIP:ME Income Booster. 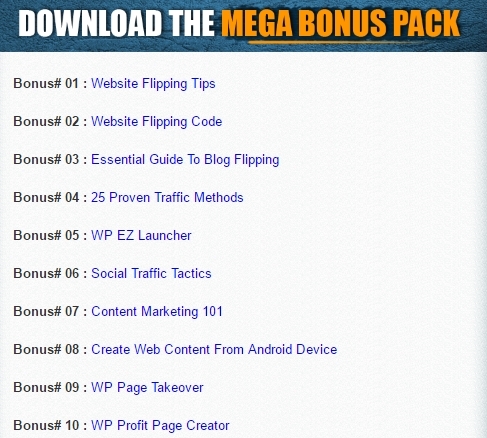 So, what is the FLIP:ME Income Booster? On the sales page for the product, I found out that it enables you to list your products on four platforms instead of one, thus supposedly quadrupling your potential earnings. This system was priced at $67, but my discounted price was $25.87. When I clicked on the “No Thanks” link, Mark again showed up on my computer screen and now offered me yet another upsell, called Income Booster lite – System Multiplier. This item was priced at just $67 $17 and added three sales outlets instead of four. After I got out of this sales page, I was offered TrafficX for $97 $42.77. Mark described this system as giving me access to a lot more traffic on my secret selling platform(s), though he didn’t completely explain how or through which channels. Trying to click away from this product lowered my final price to $32.77. 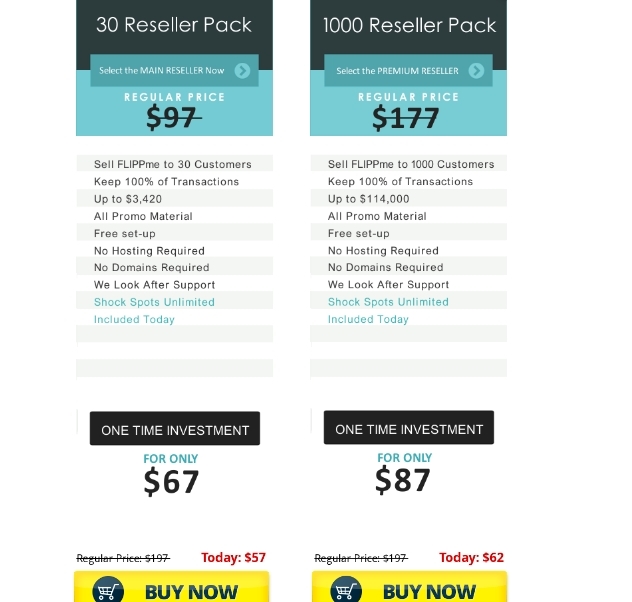 Finally, I encountered the ultimate FLIPP:ME upsell- its affiliate program. As a partner of FLIPP:ME, I’d be able to keep 100% of the product commissions. The prices for signing up as an affiliate were $57 and $62 for the 30-pack and 1000-pack, respectively. When I attempted to click out of this page, I was presented with a smaller 10-pack reseller license for just $37. At long last, I accessed the FLIPP:ME members area. There were several areas of this platform to go through, but the main FLIPP:ME information was presented in both a single short YouTube video and a single short PDF. And yes, the secret platform was revealed in this section of the area. I also noticed that Art Flair, the person presenting this YouTube video, had other YouTube videos posted for items like Million Dollar Toolbox and Daily Profit Machines. This was worrisome to me because these products are of low quality, contain endless upsells, and push an MLM-style of affiliate marketing as the best way to make money online. Welcome (0:46)- A basic introduction by Art, followed by him inviting members to view all the training videos. Overview (0:22)- This video provides you with the basic idea behind FLIPP:ME and the platforms you’ll be using to buy and sell other people’s items. Research (3:42)- You learn how to research a profitable product on Fiverr that requires little troubleshooting. Store: Set-up (2:11)- Art explains how you should set up your shop and product category(ies) on the secret platform. Store: Listings (4:10)- Here, you are taught how to create attractive product listings that attract customers. 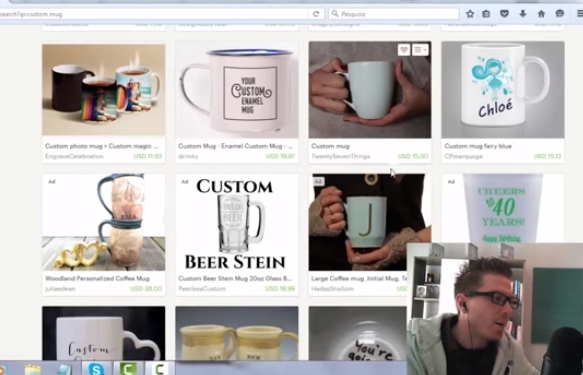 For example, when talking about listing a custom mug, Art explains how adding a picture helps to sell the item. Store: More sales (4:07)- Art gives you helpful advice on making your store more popular and increasing sales. Some examples are fairly good (e.g., start a blog, focus on seasonal items), while other examples border on unethical (e.g., asking family and friends to mark your store as their favorite). More traffic (2:43)- You learn about free (e.g., Facebook groups) and paid traffic methods for getting more traffic to your listings. Summary (0:52)- Art wraps up his videos and asks you to contact him at his email or Facebook group area if you need help getting started. I liked the free bonuses, and some of them contained novel information on buying, selling and advertising that I had not yet considered. For example, one of the recommended social traffic tactics was to create a strategic YouTube playlist (e.g., product review videos) that links to your own product videos. Another tactic involves creating your own product-focused Facebook groups so you can post affiliate links without worrying about them being removed by Facebook group administrators. The FLIPP:ME system provides a good deal of training material, bonuses and an active FB community for its low entry price of $9.97. While the program’s upsells are numerous and annoying, they can be avoided and/or clicked away from. However, given that you need to find popular and low-priced Fiverr products, generate traffic to your own listings, produce content, provide customer support, etc., this system will require some time and effort to do well. In other words, FLIPP:ME isn’t going to work if all you’re doing is copying and pasting links. However, this is exactly how the platform is advertised. Also, I am hesitant to recommend a system that relies on covertly buying other people’s products and sending those products out to other customers. Such a secretive tactic, if discovered by the seller or the buyer, could end up getting you in trouble because you’re acting as a distributor and not disclosing this fact. Finally, the ‘secret’ platform you’ll be selling your products from requires that you actually produce at least a portion/percentage of your finished goods. If you’re outsourcing everything you ‘make’ through Fiverr, you could eventually get banned from that secret platform. I hate this kind of programme. Flipme-Arbitrage?! Day light robbery when some one puts in a lot if time and effort.